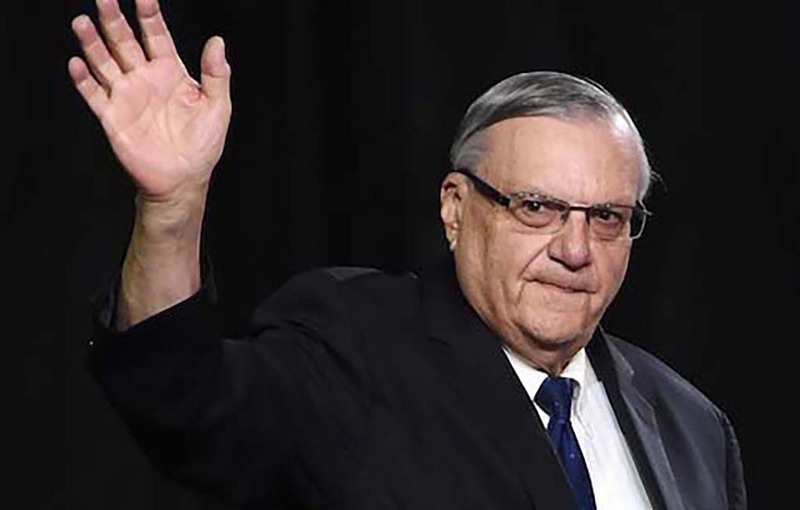 Former Maricopa County Sheriff Joe Arpaio may not be done with elected office. Arpaio has sent out a fundraising email, asking backers if he should go seek retiring Senator Jeff Flake’s seat next year. “My friend President Donald Trump needs a U.S. Senator he can trust,” Arpaio said in the email, according to the Phoenix Business Journal. Dr. Kelli Ward has already announced she will seek the Republican nomination for Flake’s seat. Trump met with at least two other potential candidates prior to his Phoenix rally in August. In his email, Arpaio said he would likely win the Senate election should he decide to run. Arizona law states he has until May 2018 to gather at least 5,801 signatures in support of his candidacy. Arpaio has indicated an interest in other elected positions before. In August, he said he has considered considering running for mayor or the state legislature. Arpaio was found guilty in July 2017 of contempt of court for continuing his immigration sweeps after a judge ordered him to stop. Trump pardoned Arpaio on Aug. 25, clearing the former sheriff’s record.